Webroots Democracy: Aberdeen City Council has put out a procurement notice inviting bids for a contract to provide an online voting platform for elections. 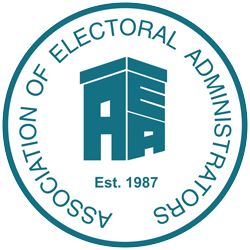 Alongside tenders for postal voting services and electronic counting, the Scottish local authority is seeking the provision of e-voting solutions. Electoral Reform Society: Following a request by the Culture Media and Sport committee, Facebook has revealed the EU referendum adverts paid for by Vote Leave and created by Aggregate IQ. Read this Cabinet Office written question and answer on They Work For You. BBC News: The UK faces a “democratic crisis” with voters being targeted with “pernicious views” and data being manipulated, a parliamentary committee is set to warn. Electoral Reform Society: The need to tighten the rules around how political parties and campaigns target voters online is a hot topic right now. The Guardian: More than 20 charities and civil society groups have urged the government to halt plans to expand compulsory voter ID, arguing that a trial at local elections in May did nothing to dispel fears it would put off vulnerable and disadvantaged groups. Democracy Club: It’s a short, overly hot Fridayblog today (27th July). Help us out by finding some results data and then join our new book club! Girlguiding: Get vocal about voting, positive about politics, challenge yourself to inspire others, and think creatively about what your ideal political landscape would look like. BBC News: Online trolls who intimidate election candidates or campaigners could be barred from public office under government proposals being considered.